For a few moments, all the viewers see is the open road, all they hear is the sound of the early morning crickets. Slowly a jogger moves into view and we recognise the steady beat of his feet hitting the gravel. The main character of this short video is gradually revealed: Nathan, a very ordinary-looking, overweight boy, dressed in grey t-shirt, shorts and trainers. It’s a picture that anyone determined to stay fit will immediately respond to – many will identify with the determination etched into Nathan’s expression, that struggle to keep going against all the odds. This one-minute advert, called “Find your Greatness”, doesn’t need to zoom in on any logos or call attention to any product specifications to hit its mark; by the time the minimalist ‘swoosh’ appears at the end, it’s already connected on an almost primal level with its target audience. “We’re all capable of greatness,” concludes the voice-over. It’s an ambitious example, but Nike’s marketing strategy perfectly exemplifies the impact that creating a successful lifestyle brand can have. The Nike product range may include trainers, legging and sportswear, but that’s not all they’re selling. They’re offering their key demographic the chance to subscribe to the Nike culture, an aspirational lifestyle that resounds with many consumers’ own personal quests for fitness. The ad was accompanied by an interview with Nathan himself, a real-life 12-year-old boy from London, Ohio. Many businesses struggle to decide what kind of marketing strategies to employ, but experts now believe that in an era of savvy and well-informed consumers, using soft-sell content marketing to promote an aspirational lifestyle will make target audiences sit up and take notice. As a global brand, Nike enjoys an enormous scale of recognition, with or without Nathan’s help. But the essential principle – the concept of designing a marketing strategy to sell a lifestyle, not just a product – is one that you too can successfully employ to meet the needs of your own brand or business. Sometimes referred to as ‘customer relationship marketing’ or ‘emotional marketing’, it’s an effective way of cutting through the marketing noise using real stories, and associating your product with something bigger and more inspirational than the sum of its parts. Many businesses struggle to decide what kind of marketing strategies to employ, but experts now believe that in an era of savvy and well-informed consumers, using soft-sell content marketing to promote an aspirational lifestyle will make target audiences sit up and take notice. Corporate blogs, email campaigns and online ads that focus primarily on product selling points are increasingly tuned out, as consumers reach for more inspirational, shareable content. 1. Ask questions: Start with a survey, to establish the aspirations of your target demographic. Embarking on promoting a set of values or a lifestyle when you don’t yet know what appeals to your customers is a waste of time and money. 2. Use real stories and tell them well: Nike knew that Nathan – a real boy, with real hopes and dreams and challenges – would connect on a deeper level with consumers than a traditional celebrity endorsement. If Nathan can do it, there’s hope for us all. 3. Don’t be afraid to leave your brand out sometimes: Consumers are increasingly alert to Trojan Horse marketing pieces, containing hidden (or not so hidden) sales pitches. So if an online baking supply business blogs about the latest episode of The Great British Bake Off, the game is up when they start inserting the names of their products into every paragraph. Instead, focus on making that blog really insightful and entertaining – the credit will inevitably reflect back onto your brand in a more authentic way. 4. Allow followers and consumers to provide feedback: Truly get to know your base, which will provide greater insight when attempting to communicate “with” them, not “to” them. At the end of every blog or social media post, ask readers to post their comments. 5. Encourage storytelling: If surveys, demographics and data don’t yield enough insights into the minds and habits of your target audience, encourage readers to share their own experiences and make connections through stories and photos. Those real life stories and photos could become the building blocks of your next content marketing campaign. 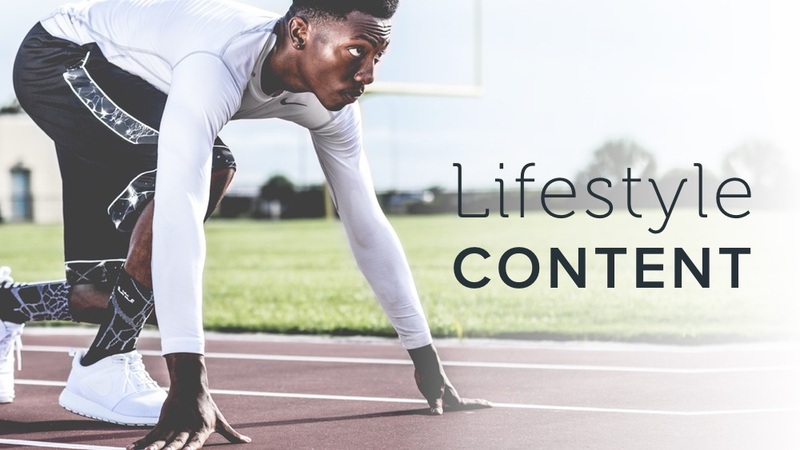 At ALHAUS, we can help you devise a content strategy that will ensure your brand forges a deep and trusted connection with your target audience. We’ll advise you on figuring out the kind of culture your business fits into, and the kind of lifestyle it can benefit from promoting. Contact our team to learn more about how to get the most from your online content.